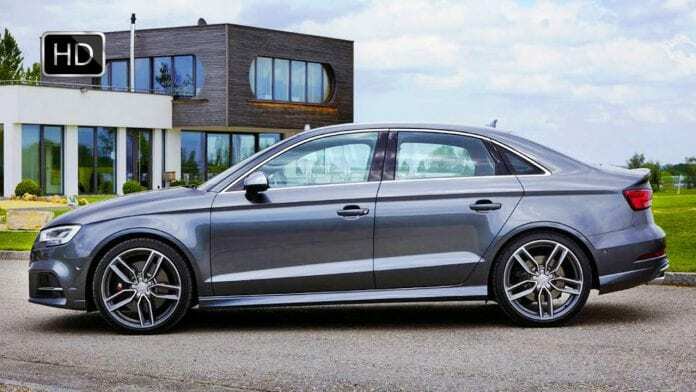 The redesigned Audi S3 sedan packs a serious punch of power, style and class. It’s turbocharged 292-hpTFSI and legendary Quattro all-wheel drive make it a much sought after sedan model. The S3’s sculptural horizontal lines, the Singleframe grille with Aluminum-optic double-blade bars, offers a distinctive statement. Inside the S3, drivers will find a minimalist style dashboard that’s filled with all of the necessary stylish features such as: four round air vents, hideaway 7.0-inch central display, and an MMI infotainment controller knob located on the center console. The dramatic sport interior of the S3 is unmistakably Audi, from the pronounced seat side bolsters of the available S sport seat, to the racing-inspired three-spoke flat-bottom multifunction sport steering wheel with shift paddles. Enjoy the sport-luxury feeling enhanced by available Fine Nappa leather with contrast diamond stitching. Nothing about the S3 Sedan is a soft gesture—rather, it’s a bold statement on just how incredible Audi craftsmanship should be.